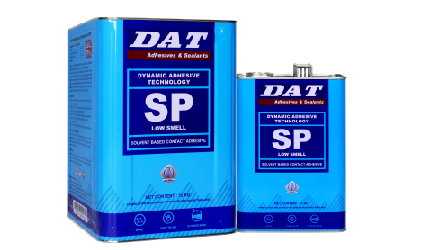 A high quality low smell adhesive designed to be used with a spray gun. 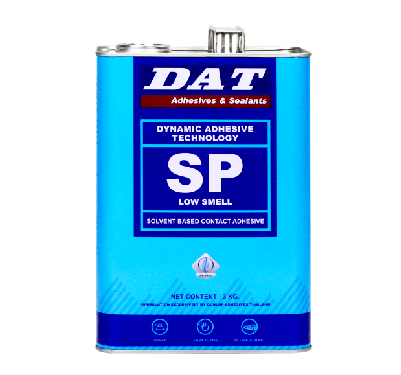 SP LOW SMELL is a high quality Chloroprene solvent-based rubber adhesive designed to be used with a spray gun. It is suitable for a variety of industries and offers a specialized low smell formula ideal for use in interior decoration projects and projects with time restrictions. 1. Ensure that surfaces are clean, dry and free from dust, grit, oil and grease. 2. 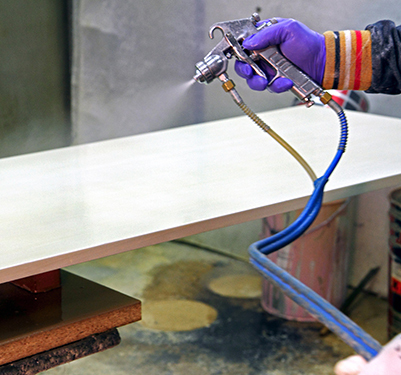 Apply SP-LS Adhesive to both surfaces with a spray gun to give a uniform coating. 3. Allow to dry for 7 – 25 minutes according to surface porosity. 4. 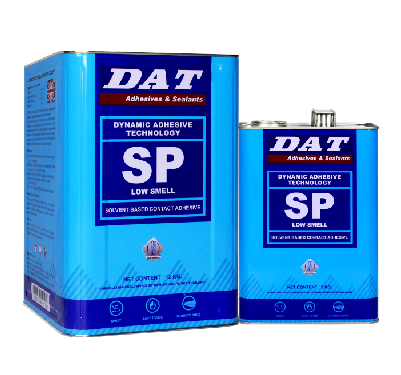 Apply even pressure to the assembly to ensure uniform bonding. 5. 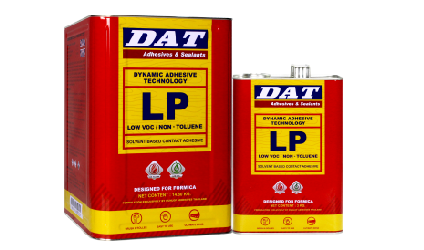 Use Dunlop Thinner (T 559) to remove excess adhesive. 6. Leave to dry for at least 4 hours. Close the lid tightly after application.